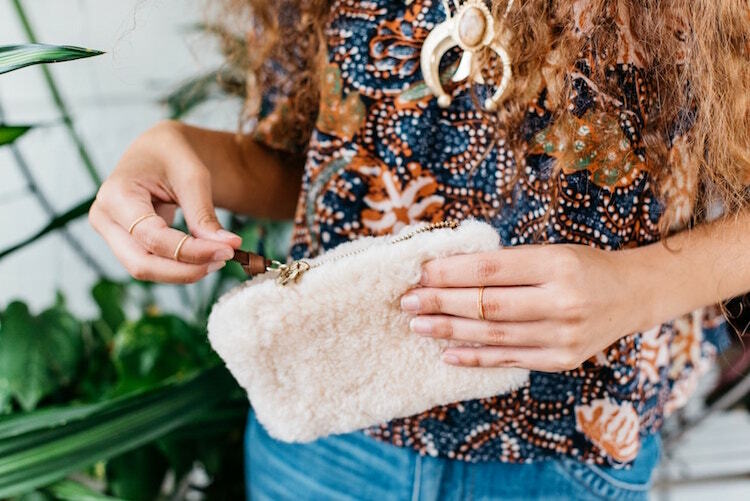 Crafted from soft sheepskin, this fun pouch will carry all your mini essentials in statement style. Want to know how to keep your bag organized? The power is in the pouch.